Halloween is this week and while some of you parents may hope to steer clear of the candy overload it can be impossible for your children to avoid all the candy around this time of year. The old saying that “candy will rot your teeth” can be true, but there are also some sweet treats that are actually good for you and have less of an impact on your oral health. We wanted to provide you with some information on alternative sweet candy treats, while also diving deeper into which candy’s can be the absolute worst for you and your children’s teeth and why. Sugar-free Lollipops and Hard Candies: Eating these types of hard candies can help stimulate saliva, which can help prevent dry mouth. Dry mouth allows plaque to build up on teeth faster, leading to an increased risk of cavities. Having sugar free lollipops and hard candies, as Halloween candy will also help save you a trip to the dentist for a cavity filling! Sugar-free Gum: Sugar free gum can prevent cavities and tooth decay believe it or not. It helps to dislodge food particles from between the teeth and also increases saliva, which works to neutralize the acids of the mouth and prevents tooth decay. Dark Chocolate: Who does not love chocolate! Dark Chocolate is the underdog of the chocolate family, but it has the most health benefits! Dark chocolate and its antioxidants can be good for the heart and may even lower blood pressure. Sugary Snacks: Snacks like candy corn, cookies, and cake can all cause tooth decay from the high amounts of sugar they contain, this can lead to increased cavities in the mouth. Chewy/ Sticky Sweets: Gummy worms, taffy, and dried fruit snacks are candies that can get stuck in the crevices between teeth, making it hard for saliva to wash them away which can cause tooth decay. 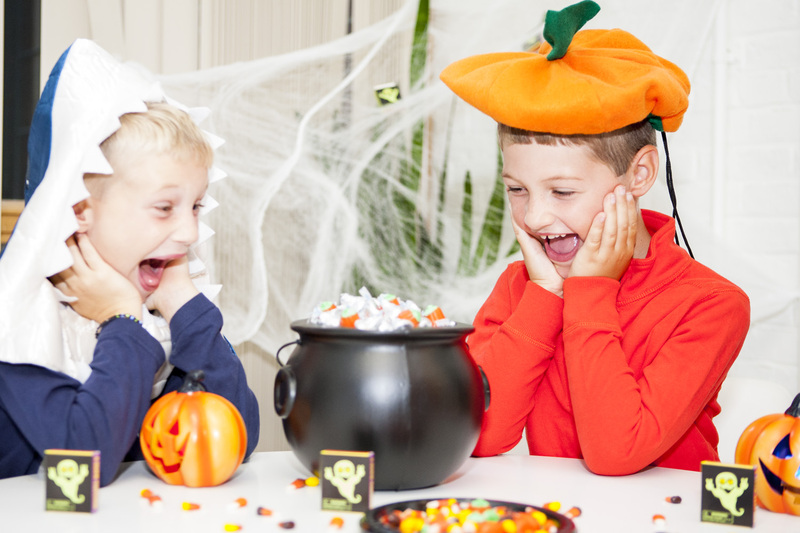 While Halloween is a night of fright and candy delight, having the knowledge of which candies to give out and allow your children to eat can help you not have a frightening trip to the dentist on your next visit! From everyone at the Restorative Dental office we would like to wish you a safe and Happy Halloween this Thursday! Can you bite into an ice cream cone or drink a cold beverage without pain? If so, you’re lucky. If not, you’re probably one of a great percentage of people who suffer from tooth sensitivity. What causes tooth sensitivity? Nerve endings that reach from the center of the tooth into the outer layers aren’t being protected as well as they should be. This could be caused by tooth decay, fracture or abrasion to the tooth enamel. Teeth whitening can also cause sensitivity when some of the tooth enamel is eroded away. What can be done about tooth sensitivity? There are toothpastes specially designed for sensitive teeth but make sure they carry the ADA seal of acceptance to make sure it lives up to its claims. The active ingredient in these toothpastes are strontium chloride or potassium nitrate. At Restorative Dental, we also recommend a special treatment that can be applied in our office to the sensitive teeth that lasts for days or months. These can be applied during your regular dental cleanings. 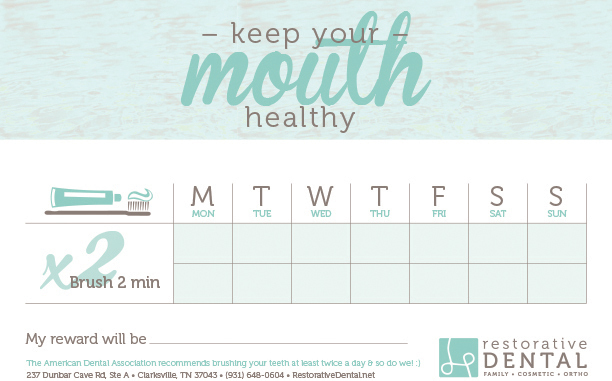 As always, if you have any questions or concerns please call our office at (931) 648-0604 or visit our office in Clarksville, TN for all of your dentistry needs. By now you’ve probably heard about or seen someone wearing the new clear plastic aligners called Invisalign®. You may be wondering if they might be right for you. 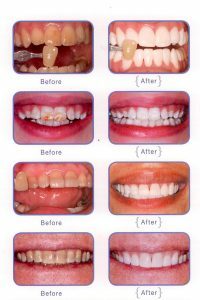 Most people who need braces hesitate because of the “look” of the metal braces and are now thinking about the clear plastic, almost unnoticeable aligners. “It is important for us to first discuss your need for braces in the first place” explains Dr. Hartz of Restorative Dental. 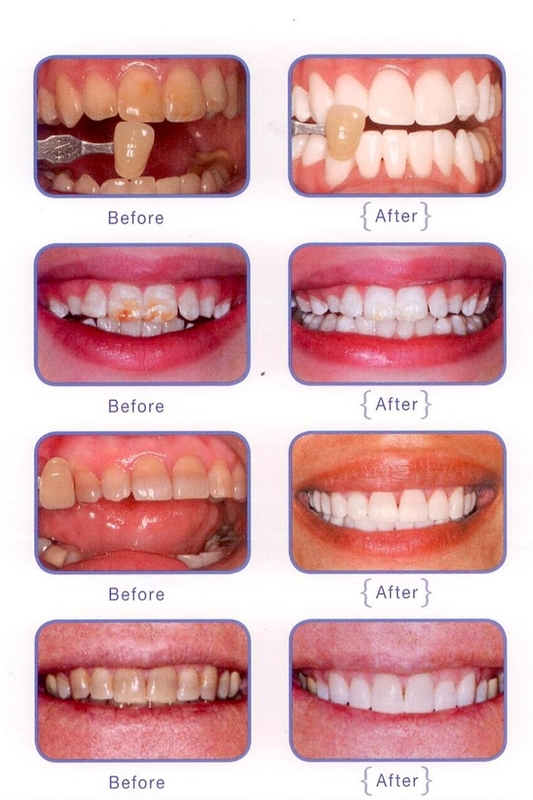 Straightening of your teeth is not just for cosmetic reasons; although that is a plus in making for a perfect smile. But aligning your teeth is also important in your oral and overall health. Swollen, red gums are often the result of crowded or too widely spaced teeth. When teeth are properly aligned, the gums fit more securely around the teeth making for a tighter defense against potential periodontal disease. 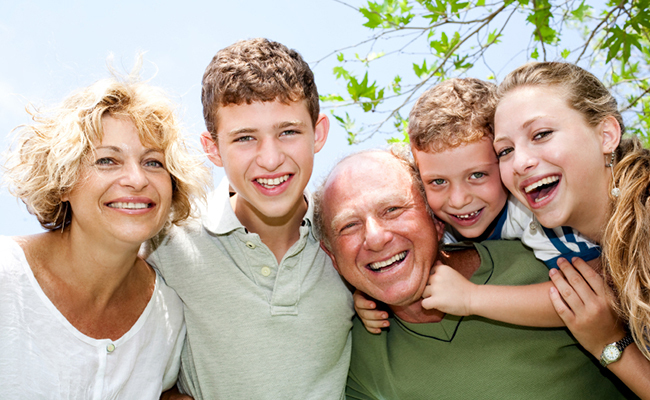 If you experience any of these oral health concerns, you may be a candidate for Invisalign®. You can visit our office, right here in Clarksville for more information. Now that you and your dentist have decided that you need teeth alignment, the question is which method do you use? Here are some pros and cons of both. One of the biggest challenges of having braces is food getting trapped in the braces and which causes plaque buildup and eventually tooth decay. With Invisalign®, an alternative to tradition metal braces, the aligners are removable for easier cleaning. With regular braces there is usually some discomfort to gums and mouth from the metal and wires. As well as tooth decay can become a concern due to inadequate brushing and flossing. Many people also do not like having to sacrifice not eating certain foods like popcorn, pretzels, ant nuts; however, with Invisalign® this is not a concern. Invisalign® usually takes about 12 to 14 months and the retainers are changed at two week intervals during this timeframe . There is a less expensive alternative to Invisalign® called ClearCorrect® but they are changed at three week intervals and usually takes a few months longer that Invisalign ® to achieve the desired finished result. Here at Restorative Dental, we will sit down with you and discuss all of your options and see which method right for you to achieve your perfect smile. Our local office is located off of Dunbar Cave Road in Clarksville, Tennessee. We would love for you to come visit us or call (931) 648-0604 for more information.